Great new music has been added to the website! 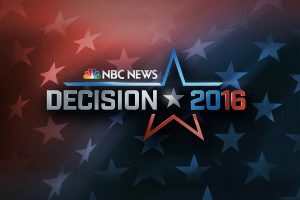 I’ve finally been able to add the current open to NBC’s Today. (To be precise, they are currently using a slightly different mix – more brassy.) It’s composed by WCPM Custom. Also added to the archive is the new Face the Nation theme by Man Made Music. Finally, we’ve broken some new ground. 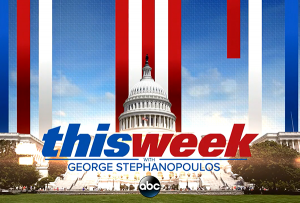 The first theme for a network news show developed exclusively for social media has been added. It’s for NBC’s Stay Tuned, composed by The Perch, a new L.A. based boutique studio headed by Matthew Kajcienski. A couple of weeks ago, ABC’s Nightline started using new theme music. It combines elements of EM, pop, and processed acoustic instruments. The theme is composed by Matthew Kajcienski and Adam Schoenberg. Listen to it here. 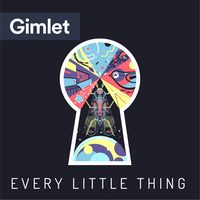 The podcast Every Little Thing from Gimlet Media did an episode on news music this week. I can really recommend it. The show’s premise is that it takes a trip down the rabbit hole to look closer at things that may seem mundane or simple but are actually extraordinary. Aside from lots of interesting facts about news music, host Flora Lichtman gets into the history of news music and discusses some of the potential downsides (how it helps ‘sell’ the news). For the episode they interviewed me. In fact, I’m featured pretty prominently. Thanks to Flora and the great team at Gimlet for doing that! You’ll also hear from DreamArtists Music‘s Matthew Kajcienski and David Lowe, the genius behind the BBC News theme. Listen to the episode on Gimlet’s site, on iTunes or wherever you get your podcasts. Earlier this month This Week debuted new theme music, once again composed by DreamArtists Music. The new theme has been added to this website. It is quite a departure from the past. The theme to This Week has always been a particularly harmonic and melodic driven work. This time, according to Matthew Kajcienski of DreamArtists Music, ABC execs wanted a track in which the backbone was completely percussive-driven. Alongside the new music, the opening graphics were completely revamped. 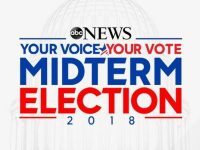 As NewscastStudio notes, the new look has some visual connections to ABC’s political drama, Designated Survivor. You can listen to the new theme here. 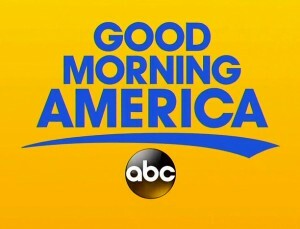 Good Morning America debuted a new theme a few weeks ago that has a bigger and bolder sound. With the addition of Michael Strahan as co-anchor, ABC was looking to replace the more pop-centered theme that debuted in late 2015. You can listen to the new theme right here. 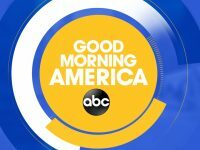 On the eve of the show’s 40th anniversary, ABC’s Good Morning America relaunched with a new theme music and graphics package. As with previous themes, Matthew Kajcienski of DreamArtists Music composed the music. This marks the first time in just under four years that the long running, top rated morning show switched themes. The new music combines elements of contemporary pop and EM rhythms with a symphonic/concert music foundation for which DreamArtists and Kajcienski is known. They have been keeping busy at DreamArtists Music. Kajcienski won an Emmy this summer for a branding piece he wrote for Hearst Television stations. Also, in partnership with Springboard Tracks, Kajcienski created the feature branding campaign song for the ABC Television Network. A full length version of the song – featuring vocalist/song writer Taylor Carroll – will be released soon by ABC and will be available for download. Update: The theme has been added to the website. You can listen to it here. Comedy Central’s fake news shows are becoming as iconic as the shows they were meant to parody. Due to some remarkable genre choices, their theme music is equally memorable. Whether you compare The Daily Show’s theme to a traditional big band late night theme or an orchestral news theme, it stands out. Since this theme debuted in the early days of the Jon Stewart era, the show has become less of a parody newscast and more straight forward comedic commentary. But the theme still fits so well. The electric guitar and heavy percussion give it an alternative rock feel and contribute to the rebellious nature of the show. Earlier this year Larry Wilmore took over Stephen Colbert’s old time slot following The Daily Show. The Nightly Show with Larry Wilmore uses a theme that prominently features a guitar riff that is emphasized by the host appearing to play it in the opening montage. The auxiliary cuts of the package contain different styles of music, mostly genres that are considered to be traditionally black music. The bed that is played during the cold open, for example, is greatly influenced by R&B. The close on the other hand is very jazzy. This unique blend of musical styles sets the show apart from other late night comedy shows. Some great new additions have been added to Network News Music! 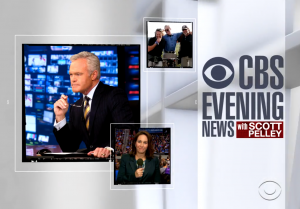 One of the most requested themes in recent years was the CBS This Morning theme. In particular, the Eye Opener was quite popular. 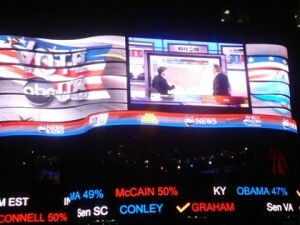 That is the 90-second piece of music that plays while a montage of the day’s news is shown. You can now listen to the full piece of music. I’ve added the 1967 CBS Radio Sports sounder to the website as well. It’s a variation of the news sounder that was used at the same time. Also new is the Nightline theme that debuted last summer. It replaced the classic theme by VideoHelper that was heard daily for almost ten years. Finally, I’ve added a page for ABC’s The View. 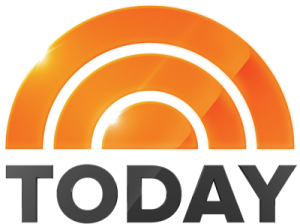 The daytime show officially became part of ABC News last year. Four different versions of the theme music, going back to 1999, have been added. Looking for a great last minute Christmas gift? 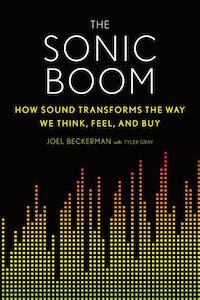 Joel Beckerman’s The Sonic Boom is a great book for anyone who wants to learn how music and sound in general affects what we do. Beckerman is the founder of Man Made Music and produced news music for CBS News and NBC News. When you think of sizzling fajitas, you will likely think of the restaurant chain Chili’s. The sizzling sound is what Beckerman calls a boom moment. He defines boom moments as instances in which a sound triggers a multi-sensory experience. The sizzling fajitas make you take notice. You turn your head to see what is causing the sound and you get hungry. Because we react faster to sound than to all other stimuli, sound is the most efficient way to convey a message. Yet it is often ignored by even the smartest people, argues Beckerman. Much of his book is spent on explaining how you can use it to your benefit. The book doesn’t go into much detail about Beckerman’s work for CBS News and NBC News. He produced John Williams’ 2004 updates to The Mission, as well as James Horner’s 2006 work for CBS News. As a fan of news theme music, that is of course slightly disappointing. But he does devote a chapter each to his music for Univision and the Superbowl on NBC. Aside from that, Beckman offers a lot of corporate examples — Apple, AT&T, Mister Softee — that are described vividly. The Sonic Boom is exceptionally well written. You will never listen to sound the same way again.